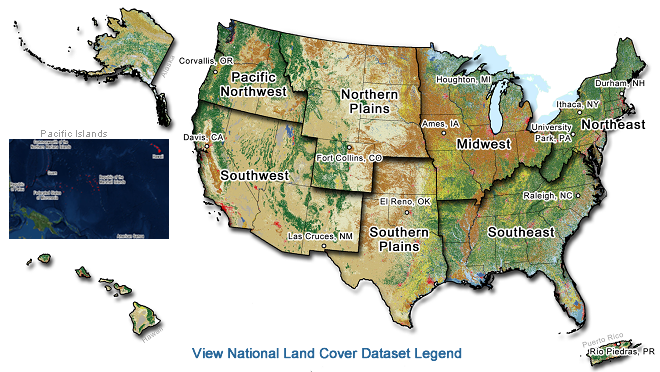 What are the USDA Climate Hubs? USDA's Climate Hubs are a unique collaboration across the department's agencies. They are led by Agricultural Research Service and Forest Service senior Directors located at ten regional locations, with contributions from many other programs including the Natural Resources Conservation Service, Farm Service Agency, Animal and Plant Health Inspection Service, and the Risk Management Agency. The Climate Hubs link USDA research and program agencies in their regional delivery of timely and authoritative tools and information to agricultural producers and professionals. The USDA Climate Hubs are overseen at the national level by an Executive Committee comprised of senior program leaders from across the Department. The Executive Committee guides, focuses, and facilitates the mission of the Climate Hubs and secures resources for activities and implementation. Each Climate Hub has a Director who oversees the regional implementation of the Hubs mission, including regional program priorities, staffing, budgeting, and evaluation. To learn more about the Climate Hub governance read the founding Charter. Robust and healthy agricultural production and natural resources under increasing climate variability and climate change. The mission of the Climate Hubs is to develop and deliver science-based, region-specific information and technologies, with USDA agencies and partners, to agricultural and natural resource managers that enable climate-informed decision-making, and to provide access to assistance to implement those decisions. This is in alignment with the USDA mission to provide leadership on food, agriculture, natural resources, rural development, nutrition, and related issues based on sound public policy, the best available science, and efficient management. What do the Climate Hubs do? Provide periodic regional assessments of risk and vulnerability to production sectors and rural economies. This includes writing portions of or contributing to the National Climate Assessment prepared by the United States Global Change Research Program (USGCRP). Support applied research and development and innovation partnerships for risk management and climate change response. Work closely with extension organizations, universities, technical service providers, and the private sector to be a source of user-friendly information developed from a wide variety of sources. Deliver science-based agriculture, forestry, and land management tools and strategies for responding to impacts of a changing climate such as drought, extreme weather events, and changing growing seasons. Improve access to usable regional data and climate change projections and forecasts in support of risk management and climate adaptation planning. Provide coordinated technical support to supplement USDA agriculture and land management program delivery, especially to underserved and vulnerable communities, tribes, and individuals. Provide outreach and education to farmers, ranchers, and forest landowners on science-based risk management. Educate natural and agriculture resource managers on the latest understanding of climate science and the effects of climate change on working lands. Engage with our stakeholders and partners in innovative and interactive ways to help lower the barriers to adaptation, manage risk, and enhance rural productivity. Where are the Regional Climate Hubs located?